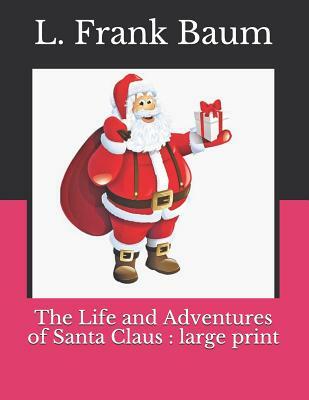 The Life and Adventures of Santa Claus: Large Print (Paperback) | Copperfield’s Books Inc. The Life and Adventures of Santa Clausby L. Frank BaumDraw close to the fire, all you who believe in the spirit of Christmas, whether you call it Santa Claus, or simply good will to men; and listen to the story of Nicholas the Wandering Orphan who became Nicholas the Wood-carver, a lover of little children. Follow him through his first years as a lonely little boy, who had the knack of carving playthings for children; then as a young man, busy over the little toys; then as a prosperous, fat, rosy old man, who overcomes all sorts of difficulties in order to attain his ambition, a toy for every child in the village.